Under the high sulfur concentration environment at high temperature, high humidity and high pollution, various kinds of sulfur compounds can be formed, which may spread in the air and attach to the metal surface of the electronic products, slowly causing the metal to be sulfurated. Electronic parts like resistors usually use silver. But if being exposed to sulfur compounds for a long period of time, electrode parts may become sulfurated, causing abnormal resistance and in turn, thus causing the reliability of SSD products to decrease. 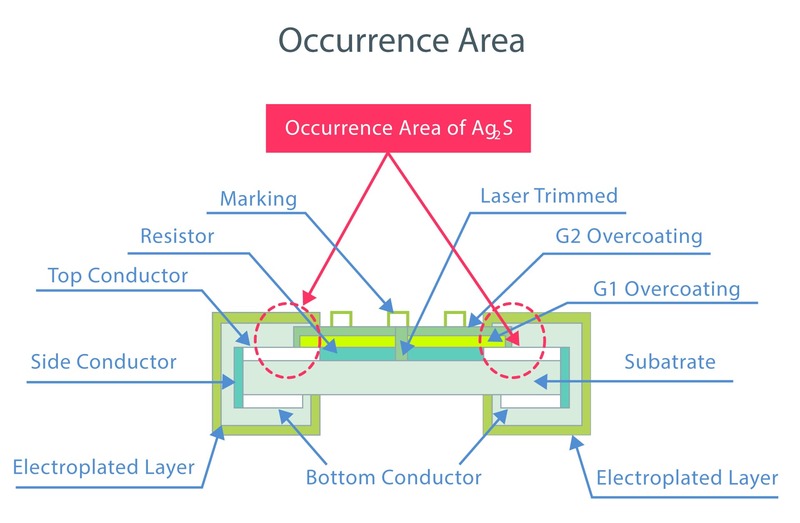 The internal electrodes of the thin film chip resistor use silver (Ag). If the gas containing sulfur attacks from the gap between the protective film and the electroplating layer, silver sulfide (Ag2S) will gradually be formed. As indicated in the reaction shown below. ( See the picture ) ; which causes the internal electrodes to short and failure occurs. Thus, a short circuit caused by sulfuration. While the environmental pollution is getting worse, the application of the anti-sulfuration technology is getting wider, including industrial equipment, electric system, network application and the outdoor electronic equipment exposed to the high sulfur environment. 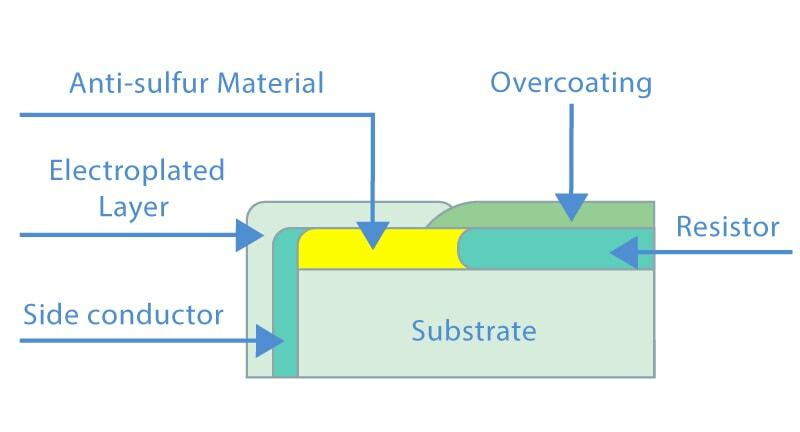 To avoid a short circuit caused by silver sulfide and to ensue normal operation of the module, ADATA has introduced industrial anti-sulfuration SSD products. The anti-sulfuration components used have all passed the Reliability Test Items of the Sulfuration Test: Under the sulfuration environment at high temperature (105°C), and high humidity (91%-93%) , the test has been performed continuously for more than 45 days to ensure that it meets the anti-sulfuration requirements of ASTM B809-95, which allows the anti-sulfuration components to work normally under the severe environment, satisfying the strict requirements for stability and endurance of the industrial equipment. ADATA anti-sulfuration technology is able to entirely prevent NAND flash products and DRAM module products from being sulfurated, making the best reliable and rugged products for any kinds of application under high sulfur-contained environment. When normal resistor is under sulfur atmosphere(H2S), silver sulfide(Ag2S), which is a kind of insulator, will be generated at top conductor (Ag), resulting in open circuit fail. By using anti-sulfur material as top conductor, sulfuration is prevented.